bench warrant for Failure to Comply with the Terms and Conditions of Probation. pipe with residue was discovered. Costales has 16 prior convictions and is known to frequent the Waipahu area. Warrant: $20,000 cash only bench warrant for Failure to Comply with the Terms and Conditions of Probation. CrimeStoppers and the Honolulu Police Department are seeking the public’s assistance in locating Tony Leaai who is wanted for a $75,000 Bench Warrant Warrant for Failure to Comply with the Terms and Conditions of Probation. On May 2, 2018 at about 6:30 p.m., the victim was driving her vehicle in the Ala Moana area. When the victim stopped at a traffic light, a male suddenly opened the passenger’s side door and entered. The male brandished a firearm and instructed the victim to drive him to the Wahiawa area. Upon arriving in Wahiawa, the male briefly exited the vehicle at which time the victim was able to escape. Police were notified and during the investigation, the male was identified as Tony Leaai. 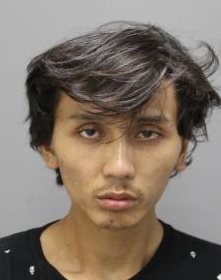 Leeai was later located and placed under arrest for Kidnapping, Terroristic Threatening in the First Degree and Unauthorized Entry into Motor Vehicle in the First Degree. Leaai has 39 prior convictions and is known to frequent the Pearl City area. Warrant: $75,000 Bench Warrant Warrant for Failure to Comply with the Terms and Conditions of Probation. Souza is wanted for a $20,000 Cash Only Bench Warrant for Failure to Appear for HOPE Hearing on 2/8/19. On January 17, 2015 at about 1:14 p.m., a loss prevention officer for the School Street Foodland store observed a male to select and conceal various food items then exit the store without paying for the items. The loss prevention officer stopped the male and notified police. During the investigation, it was discovered that the same male had been previously trespassed from all Foodland stores for shoplifting on October 4, 2014. The male, who was later identified as Steven Souza, was subsequently placed under arrest for Burglary in the Second Degree. Souza has 30 prior convictions and is known to frequent the Kaneohe area. 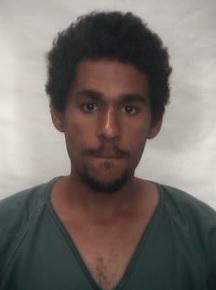 Anduha-Curlee is wanted for a $50,000 Bench Warrant for Failure to Comply with the Terms and Conditions of Probation. On May 22, 2014 at about 3:00 a.m., the complainant discovered that his moped, which had been parked in front of his apartment, had been stolen. The complainant later reviewed the apartment’s security video footage and discovered that his friend had stolen his moped. 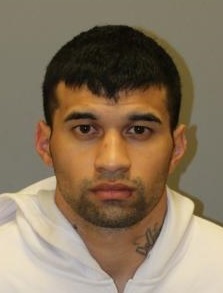 Police were later able to locate the victim’s friend, later identified as Jessten Anduha-Curlee, and placed him under arrest for Theft in the Second Degree. 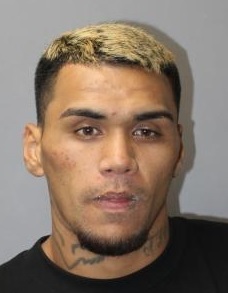 Anduha-Curlee has 4 prior convictions and is known to frequent the Honolulu area. Warrant: $50,000 Bench Warrant for Failure to Comply with the Terms and Conditions of Probation. Cummings-Wright is wanted for a $20,000 Cash Only Bench Warrant for Failure to Comply with the Terms and Conditions of Probation. On March 29, 2016 at about 12:15 a.m., an HPD Lieutenant on patrol in the Kapiolani area observed the driver of a moped to commit a traffic violation. The lieutenant stopped the driver of the moped and observed that the driver was impaired. Checks on the moped revealed that it had been reported stolen on March 27, 2014 from the Waikiki area. The male, who was later identified as Austin Cummings-Wright, was subsequently placed under arrest for Unauthorized Control of Propelled Vehicle and Operating a Vehicle Under the Influence of an Intoxicant. Cummings-Wright has 3 prior convictions and is known to frequent the Honolulu area. 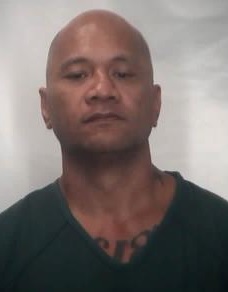 CrimeStoppers and the Honolulu Police Department are seeking the public’s assistance in locating Maui Remigio who is wanted for a $25,000 bench warrant for Failure to Comply with the Terms and Conditions of Probation. On February 22, 2014 at about 10:30 a.m., an HPD officer was patrolling the University area when the Automated License Plate Reader on his police vehicle alerted him that a Ford Explorer travelling past him was an outstanding stolen vehicle. 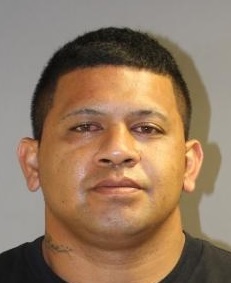 The officer was able to stop the vehicle at which time it was confirmed that the vehicle had been reported stolen on February 19, 2014 from the Mapunapuna area. The driver of the vehicle, later identified as Maui Remigio, was subsequently placed under arrest for Unauthorized Control of Propelled Vehicle. He was also arrested for Promoting a Dangerous Drug in the Third Degree and Unlawful Use of Drug Paraphernalia after officers recovered a glass smoking pipe with methamphetamine residue in it from his property. 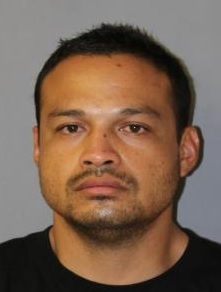 Remigio has 4 prior convictions and is known to frequent the Mililani and Waianae areas. 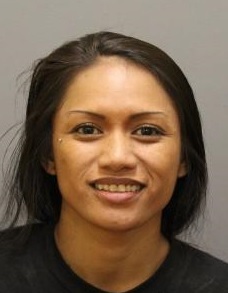 Kamaka is wanted for a $20,000 Cash Only Bench Warrant for Failure to Appear for HOPE Warning Hearing on 12/21/18. On August 6, 2018 at about 9:40 a.m., an employee of the Board of Water Supply was checking on one of their properties in the Waianae area when she observed a suspicious male driving a vehicle in their secured property. Police were notified and discovered that the vehicle had been reported stolen on July 25, 2018 from the Kailua area. 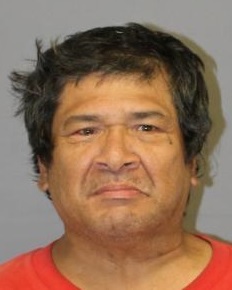 Police were able to locate the male nearby and placed the male, later identified as Mcloyd Kamaka, under arrest for Unauthorized Control of Propelled Vehicle. Kamaka has 18 prior convictions and is known to frequent the Honolulu area. Warrant: $20,000 Cash Only Bench Warrant for Failure to Appear for HOPE Warning Hearing on 12/21/18. CrimeStoppers and the Honolulu Police Department are seeking the public’s assistance in locating Joseph Garcia who is wanted for an $11,000 Grand Jury Bench Warrant for Assault Against a Law Enforcement Officer in the First Degree. 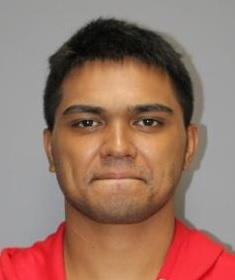 On December 17, 2018 at about 2:00 p.m., HPD Officers responded to an assault case at a Waianae residence. As the officers were trying to place a male under arrest for the assault, the male resisted then struck one of the officers causing him injuries. The male, who was identified as Joseph Garcia, was subsequently placed under arrest for Assault in the Third Degree, Assault Against a Law Enforcement Officer in the First Degree and Resisting Arrest. 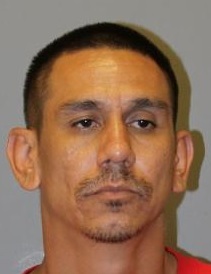 Garcia has no prior conviction and is known to frequent the Waianae area. Warrant: $11,000 Grand Jury Bench Warrant for Assault Against a Law Enforcement Officer in the First Degree. James is wanted for a $20,000 Cash Only Bench Warrant for Failure to Comply with the Terms and Conditions of HOPE Probation. On June 17, 2014 at about 2:30 p.m., a male patient was being discharged from the Queen’s Hospital emergency room when he became angry with the staff for not returning his drug paraphernalia that was confiscated. The patient then threw an object at a security glass causing it to shatter and resulting in $2,500 in damages. Police were notified and placed the male, later identified as Dominic James, under arrest for Criminal Property Damage in the Second Degree. James has one prior conviction and is known to frequent the Honolulu area. Warrant: $20,000 Cash Only Bench Warrant for Failure to Comply with the Terms and Conditions of HOPE Probation. Ikezawa is wanted for a $35,000 Bench Warrant for Failure to Comply with the Terms and Conditions of Supervised Release. On July 27, 2018 an employee for a retail establishment in the Kaheka area discovered that money had been taken from within their safe. Upon reviewing the store surveillance footage, a male was seen entering the store area when the store was closed. 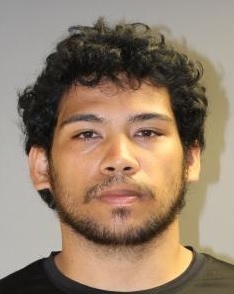 Police were notified and through the investigation, the male who broke into the store, was identified as Keoni Ikezawa. He was later located and placed under arrest for Burglary in the Second Degree. 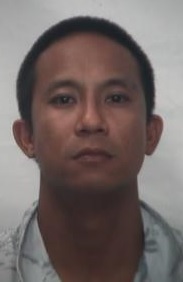 Ikezawa has 7 prior convictions and is known to frequent the Honolulu area. Warrant: $35,000 Bench Warrant for Failure to Comply with the Terms and Conditions of Supervised Release. Lee is wanted for a $20,000 Cash Only Bench Warrant for Failure to Appear for HOPE Hearing on Motion for Modification of the Terms and Conditions of Probation on 11/28/18. On May 11, 2017 at about 9:00 p.m., a female entered the Ala Moana Long’s Drugs store and attempted to use a fraudulent credit card but was unsuccessful. The female then fled in a taxi cab but responding officers were able to locate her nearby. The female was later found to be in possession of a Hawaii state identification card and social security card of a different female. The female, who was identified as Elizabeth Lee, was subsequently placed under arrest for Unauthorized Possession of Confidential Personal Information. Lee has 2 prior convictions and is known to frequent the Honolulu area. Warrant: $20,000 Cash Only Bench Warrant for Failure to Appear for HOPE Hearing on Motion for Modification of the Terms and Conditions of Probation on 11/28/18. Pepee-Mattos is wanted for a $20,000 Cash Only Bench Warrant for Failure to Comply with the Terms and Conditions of Probation. On May 19, 2011 at about 5:20 p.m., the victim was waiting at a bus stop in the Pearlridge area when an unknown male approached him and grabbed the victim’s wallet out of his hands and fled. The victim was able to chase down the male with the assistance of two bystanders. Police were notified and placed the male, later identified as Dallas Pepee-Mattos, under arrest for Theft in the Second Degree. Pepee-Mattos has 3 prior convictions and is known to frequent the Honolulu and Waianae areas. 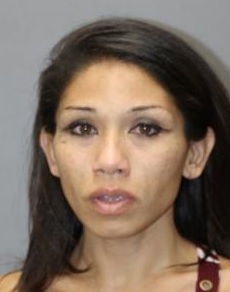 CrimeStoppers and the Honolulu Police Department are seeking the public’s assistance in locating Kiara Demyra who is wanted for a $20,000 cash only bench warrant for Failure to Comply with the Terms and Conditions of Drug Court. On January 8, 2018 at about 4:27 p.m., a loss prevention officer for the Waikiki Saks Fifth Avenue store observed a male to enter the store and proceed to the clothing area. The male then selected a shirt from the rack and concealed it in a bag that he had brought with him. The male then proceeded to exit the store without making payment for the item. The loss prevention officer stopped the male and escorted him into the security office at which time police were notified. 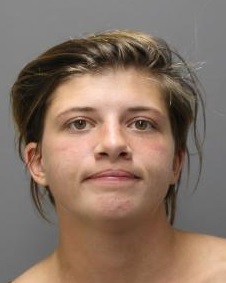 The male, who was later identified as Kiara Demyra, was subsequently placed under arrest for Theft in the Second Degree. Demyra has 8 prior convictions and is known to frequent the Honolulu area. Warrant: $20,000 cash only bench warrant for Failure to Comply with the Terms and Conditions of Drug Court. Hoffman is wanted for a $10,000 Bench Warrant for Failure to Comply with the Terms and Conditions of Probation. On September 23, 2016 at about 12:50 a.m., the complainant invited a female to his Waikiki apartment for companionship. While in the apartment, the complainant went into the shower and when he was done he discovered that the female had left. The complainant also discovered that various watches and jewelry was missing. The complainant called police and filed a police report for the stolen items. On September 28, 2016, the complainant saw the same female walking in the Waikiki area and notified police. The female, who was later identified as Marsha Hoffman, was subsequently placed under arrest for Theft in the Second Degree. Hoffman has 3 prior convictions and is known to frequent the Honolulu and Waikiki areas. Warrant: $10,000 Bench Warrant for Failure to Comply with the Terms and Conditions of Probation. CrimeStoppers and the Honolulu Police Department are seeking the public’s assistance in locating Adlida Correia who is wanted for a $20,000 cash only bench warrant for Failure to Comply with the Terms and Conditions of HOPE Probation. On December 8, 2011 at about 1:15 a.m., the complainant, who is a taxi driver, picked up a female passenger in the Waikiki area. The female told the taxi driver that she wanted to be dropped off in Waianae at which time the driver stated that he needed to put gas in his vehicle. The driver stopped at a Kapahulu gas station and as he proceeded inside to pay the cashier, the female started the vehicle and drove off. Police were notified and was able to locate the vehicle which was still being driven by the female in the Kunia area. 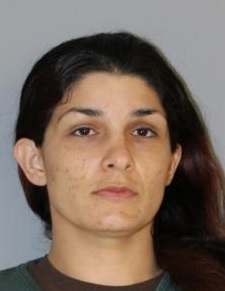 The female, who was later identified as Adlida Correia, was subsequently placed under arrest for Theft in the Second Degree, Unauthorized Control of Propelled Vehicle and Driving Without a Valid License. Correia has 4 prior convictions and is known to frequent the Waianae area. CrimeStoppers and the Honolulu Police Department are seeking the public’s assistance in locating Kui Lucas who is wanted for a $20,000 cash only bench warrant for Failure to Comply with the Terms and Conditions of Probation. On June 10, 2016 at about 7:00 a.m., the complainant discovered that someone had stolen her moped that was parked in the parking lot of her Kapahulu residence. The complainant reviewed security footage which showed a male taking the moped. Police were notified and through the investigation, the male who took the moped was identified as Kui Lucas. He was later located and placed under arrest for Theft in the Second Degree. Dietz is wanted for a $10,000 Bench Warrant for Failure to Comply with the Terms and Conditions of Probation. On June 7, 2014 at about 11:30 p.m., an HPD officer was patrolling the Waianae area in his subsidized police vehicle when he was struck from behind by another vehicle. The officer’s vehicle flipped several times before coming to a rest. The driver of the vehicle that struck the officer’s vehicle showed signs of impairment. The driver, who was identified as Michael Dietz, was subsequently placed under arrest for Driving a Vehicle Under the Influence of an Intoxicant and Driving Without a Valid License after he failed to participate in a field sobriety test. Dietz was also placed under arrest for Negligent Injury in the First Degree after it was discovered that the officer had sustained substantial bodily injuries. 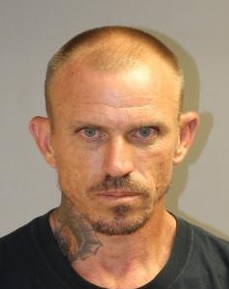 Dietz has eight prior convictions and is known to frequent the Waianae area. Pontes is wanted for a $20,000 cash only bench warrant for Failure to Comply with the Terms and Conditions of Probation. Pontes has twelve prior convictions and is known to frequent the Waianae area. 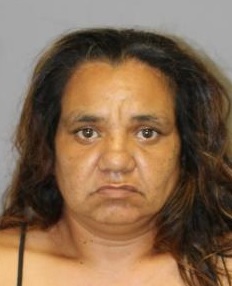 Nihoa is wanted for a $20,000 Cash Only Bench Warrant for Failure to Comply with the Terms and Conditions of HOPE Probation. On July 29, 2016 at about 12:05 a.m., the victim was at the Ala Moana Beach Park talking to his friend when another male approached them and began to argue with them. The male then demanded the victim’s property when the victim refused, the male punched the victim. Police was notified and located the male nearby. 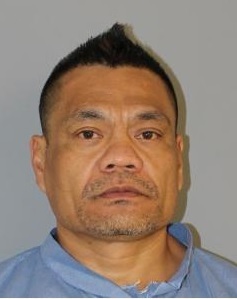 The male, who was identified as Keoholani Nihoa, was subsequently placed under arrest for Robbery in the Second Degree. While Nihoa was being processed at the Central Receiving Division, officers recovered 4 hydrocodone pills and a packet containing a black tar like substance. Two counts of Promoting a Dangerous Drug in the Third Degree was subsequently added to Nihoa’s charges. Nihoa has 4 prior convictions and frequents the Honolulu area. CrimeStoppers and the Honolulu Police Department are seeking the public’s assistance in locating Rory Cabrera who is wanted for a $20,000 cash only bench warrant for Failure to Comply with the Terms and Conditions of Probation. On August 28, 2016 at about 6:50 p.m., the complainant had parked her vehicle on the side of the road in the Makua area then sat behind a hill near her parked vehicle. Shortly after, they heard noises coming from her vehicle. Upon checking her vehicle, they observed a male leaning into it. They confronted the male, at which time he fled in an awaiting vehicle. Police were notified and were able to locate the suspect vehicle nearby. 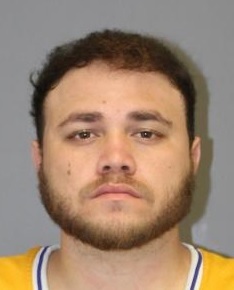 The male, who was later identified as Rory Cabrera, was subsequently placed under arrest for Unauthorized Entry into Motor Vehicle in the First Degree. Cabrera has 5 prior convictions and is known to frequent the Honolulu area.